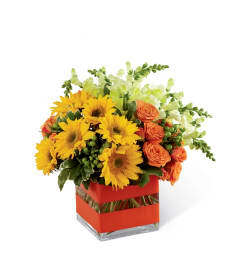 FTD® proudly presents the Vera Wang Beauty and Grace™ Bouquet. 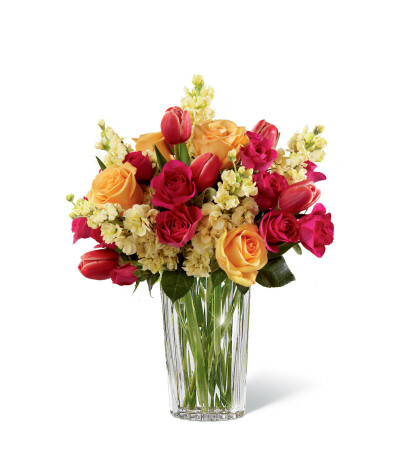 A stunning display of sun-crushed sophistication, this bouquet of fuchsia tulips, pale yellow stock, peach roses and hot pink spray roses demands their attention. 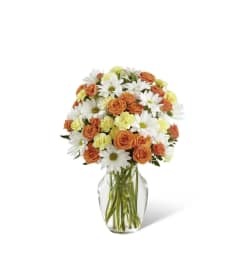 Presented in a modern clear glass vase, this incredible arrangement is sure to convey your warmest wishes with each sunlit bloom.